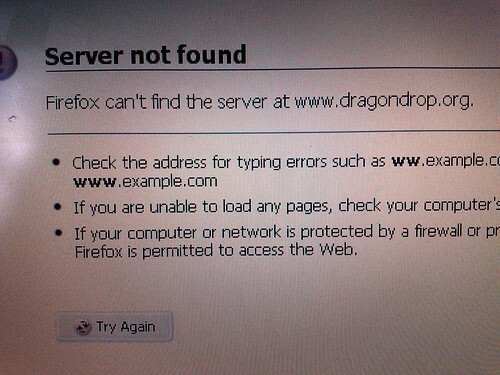 Server not found, originally uploaded by DragonDrop. It seems that it’s back up now. I’m flat out at work and home – Newby Hall this weekend.